These opening words of a prayer written by Trappist monk Thomas Merton evoke in me a mirror moment. Yes, the mirror is a cliché worn threadbare, but stay with me. 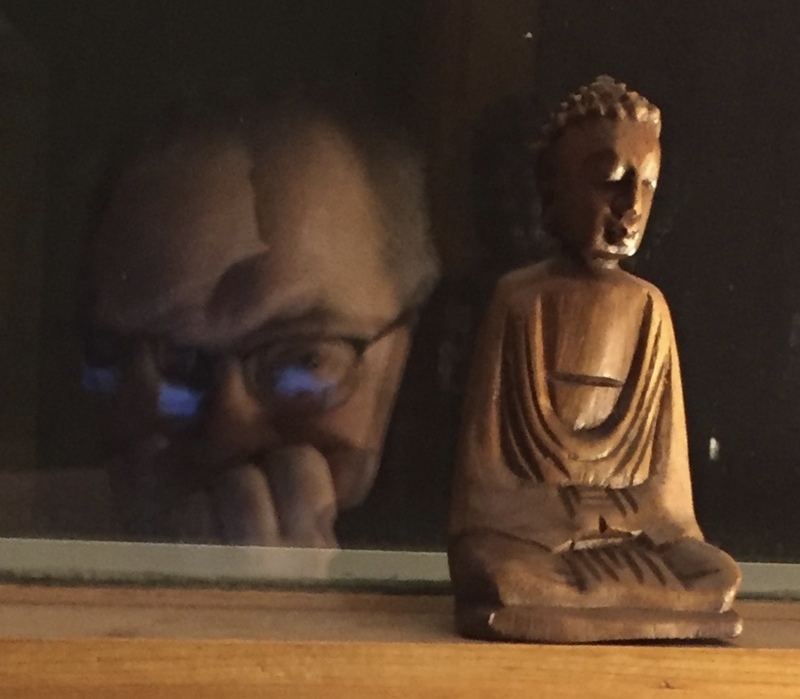 I’ll wager most thoughtful people occasionally stare at their reflections—not out of vanity, but ontological wonder. If you’re my age, your skin is slowly disappearing behind crow’s feet and spots. Maybe a spare chin is descending. Or you have half-moons like pale bruises under your eyes. We don’t linger for long, though. No answers are forthcoming. Our questions retire with us each night, but never leave. In my case, they’re light sleepers. Where am I going? What does the road ahead look like? When will it all end? And am I doing good in this world, helping more than hurting? Precisely. We know precious little. I’m barely fluent in the language of my own soul. Where am I headed? Why was I scheduled for an appointment on this planet? And where will my road end? Thomas Merton died in Bangkok on December 10, 1968, after giving a lecture—twenty-seven years to the day after he entered the Abbey of Gethsemani in Kentucky. Clumsy with all manner of devices, he was electrocuted by a defective fan. Still, I’m not without sympathy. Folks who turn everything from finding lost keys to perishing in a flood to surviving a house fire into an act of God need patience, not criticism. Existence is as frightening as it is beautiful. “God’s will,” for those who claim to understand it, is a nerve pill. To explain how life works is to solve the Divine Mystery and anesthetize our fears. So what exactly does the monk know? That God will lead him “along right pathways,” but every how and why remain resolute secrets. 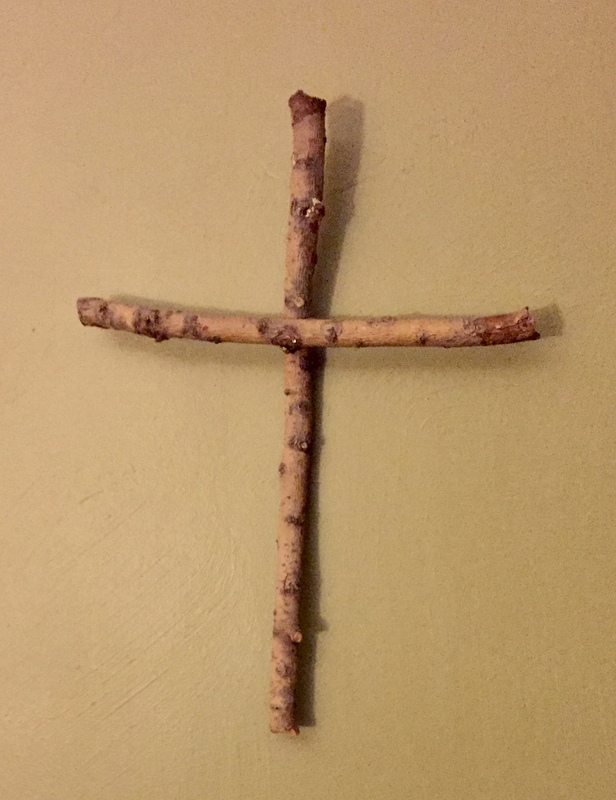 A cross made from branches along a trail in Michigan. I’ve learned to receive such mysteries as blessings. The yoke of interpreting the inscrutable is broken. I “know nothing about” how God figures into each day’s hairpin curves. I don’t have to speculate about divine appearances along any wayfarer’s road, not even my own. Maybe most liberating of all, I’m under no obligation to prove that God exists or to justify the cross that has kept vigil over my prayers for going on twenty years. I do pray an awful lot, sometimes with words, mostly with silence. More than anything else I’m an unfurled sail, waiting for a breeze of wisdom and compassion to set me on the right course. Oh, John… you are dear to me! You and your writings are soo treasured! Thanks, Nancy. You’re pretty darned dear yourself. I cannot think of a better word than ‘like’ to describe my reaction to what you wrote John, but ‘like’ is so woefully inadequate. I identify closely with your meditation. “Like” is a good word. I’ll take it, Rob. Hope all is well with you. This wonderful piece led me to read some of those listed above. John, I will be reading more of your work. It is like a drink of cool water in a parched land. Thanks, Ray. It means a lot that my stuff quenches your thirst. Hope all is well with you and yours. AMEN my friend! My goal daily is to be the best me in the God’s eyes, and fail often. Faith and belief… my mantra!